A maintained machine is more efficient and profitable. Using Aramine original spare parts and components will assure the most efficient working conditions. By a reliable and trustworthy commitment, our all team is at your disposal to bring you satisfaction and make your project a success. With three warehouses in the world and logistic centers of 6000sqm, we are able to have more than 850 000 manufacturer part numbers available in our facilities. 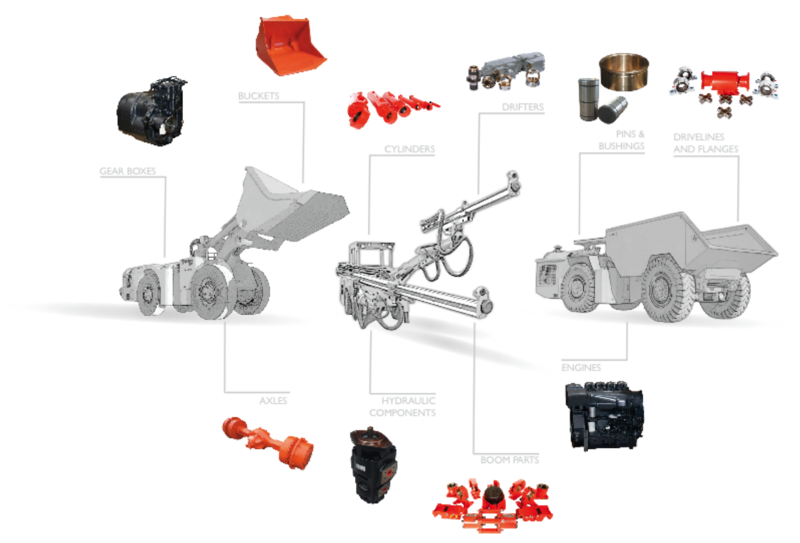 In addition to new components, Aramine offers remanufactured components. to purchase spare parts in as new conditions without compromising quality and reliability. Drillings : we can offer Drifters and all genuine associated spare parts.